Press reports and official documents of the time show clearly that Taiwan’s colonial administration was brought to a complete stop after the Emperor’s concession of defeat. 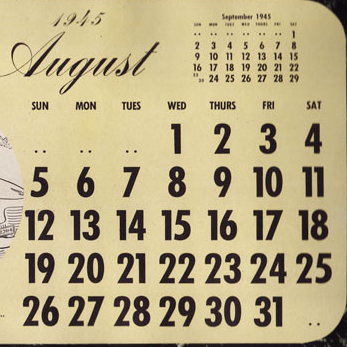 A political and administrative vacuum lasted for 70 days until 25 October, when the Administrative Commander’s Office was established by the new regime from the mainland. During this time, no police or judicial system existed, but the Taiwanese took over most public utilities. Electricity and water supplies remained normal and the postal service, telephone, highway and railroad transportation all operated smoothly. Consumer prices were stable and the economy showed no sign of decline. All in all, this was a surprising period of high autonomy without the accompanying political chaos that characterized experiences elsewhere. Everywhere there were banners with the slogan, ‘Celebrating our return to the mother country’s bosom’ and indeed, the Taiwanese people had limitless expectations of the mother country. 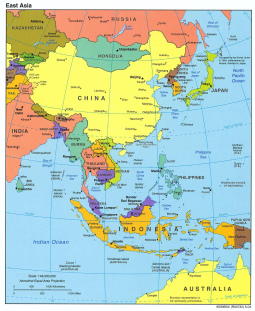 China had defeated Japan and was acknowledged as one of the world’s four great powers, along with the United States, Great Britain and the Soviet Union. Hence the Taiwanese perceived a leap in status from colonial servants to citizens of a victorious Great Power. 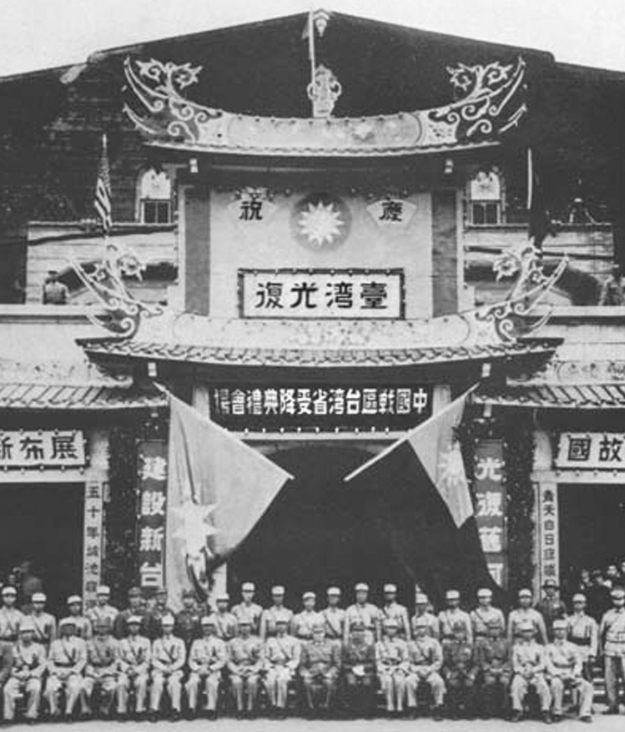 After a series of delays that only enhanced a common feeling of anticipation and hope (ships carrying the 18th Army, which was tasked with occupying Taiwan, were caught in a storm and had to return home), 12,000 soldiers and 2,000 officers of the 70th Army finally entered the port of Keelung on 17 October aboard more than 30 American warships. The army marched into Keelung city amid a sea of waving flags and cheering voices. But the real surprise was the condition of the army: the Taiwanese public saw a group of men wearing tattered clothes and grass sandals, staggering in their steps. 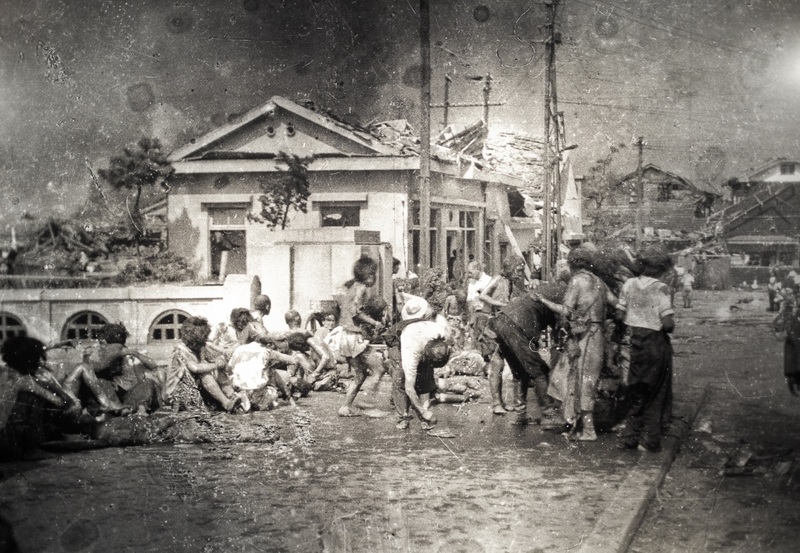 Each soldier carried a broken umbrella and a wok on his back, while some toted bundles with various kinds of woks and bags of rice on poles, as if moving their entire possessions. 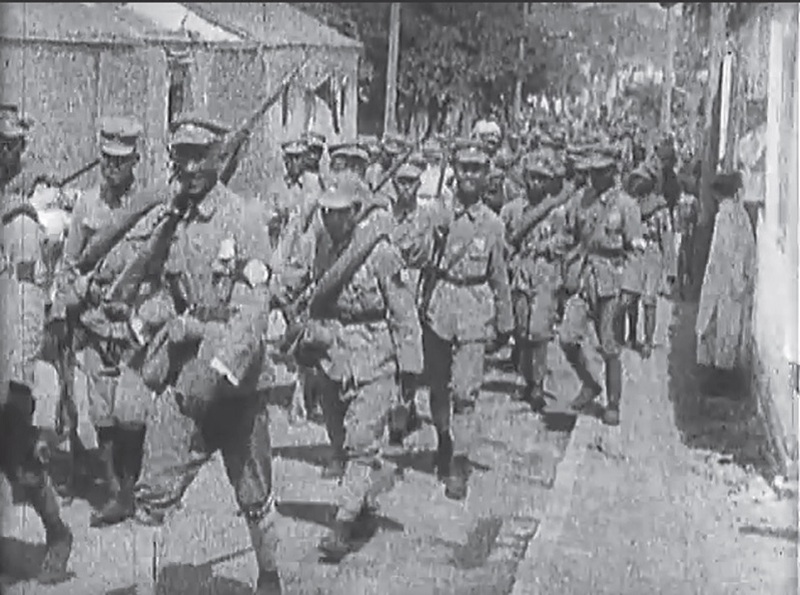 These troops were nicknamed ‘an army of beggars’ on the mainland, because they were from the poverty-stricken inland and their equipment was the worst in the Chinese Army. Their appearance was in stark contrast with the Japanese soldiers who brought up the rear of the line; they were full of spirit, neat and clean, and well disciplined. Over the subsequent decades, and in marked contrast to citizens of other former Japanese colonies, the Taiwanese people retained an amiable attitude toward Japan. One can point to many reasons for this, while at the same time acknowledging that the process began on that first day of occupation.